If you’re in the market for a stylish yet capable SUV, the new Mercedes-Benz G-Class SUV may be the right choice for you. For example, G-Class models, like the Mercedes-AMG® G 63, not only have a sleek appearance but deliver powerful performance, fast acceleration, and off-road capability. Browse our online inventory, then visit Fletcher Jones Motorcars of Fremont to schedule a test drive with any Mercedes-Benz G-Class for sale today! 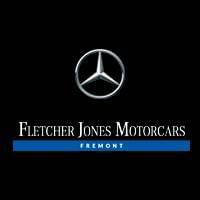 Why Buy a Mercedes-Benz G-Class at Fletcher Jones Motorcars of Fremont? Contact us to learn more about being a preferred owner. Additionally, you can also contact us if you have questions like, “How much is a Mercedes-Benz G Wagon?” We’re happy to go over Mercedes-Benz G-Class price info and more!